Regular size square shape singing bowl cushion. 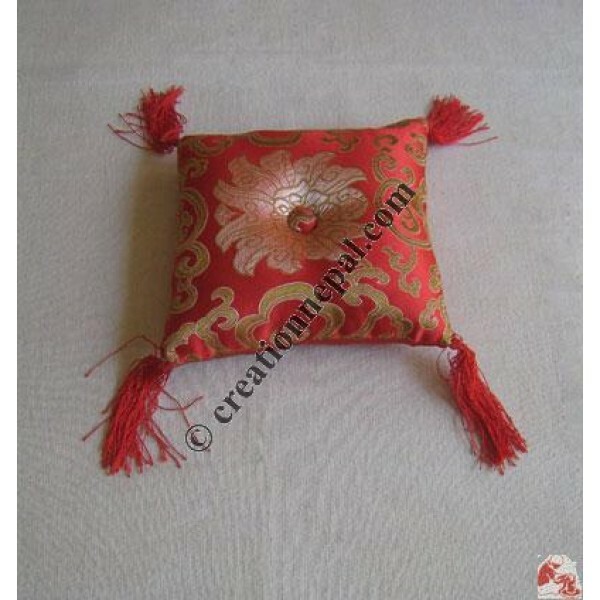 The cushion is filled with cotton and frills decorated on 4 corners. Since the product is entirely handmade; No two are alike, hence there can be slight variation in given size and measurement and the color can be different than it is shown in the picture.